During his time as the superintendent of the Bradford Research Center, Tim Reinbott worked regularly with corn genetics. 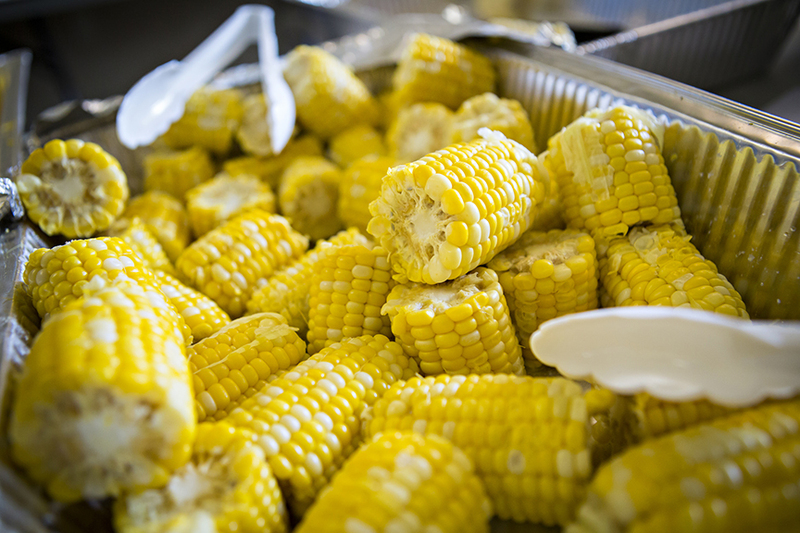 That work turned into an annual event at Bradford – sweet corn tasting for MU faculty and staff. Reinbott became the director of field operations for CAFNR’s Agricultural Experiment Station in 2015 after 15 years as the superintendent at Bradford. Even with the change, Reinbott has continued to work with sweet corn varieties – and Bradford has continued to host sweet corn tastings. There are three separate genes responsible for the sweetness in corn. The first is the sugary gene, which gives sweet corn its sweetness. The second gene is the sugary enhanced gene. Reinbott said those kernels are tenderer. The final gene is the super sweet gene, or sh2. Reinbott said those kernels are not as tender and are generally really sweet. Throughout his time working with sweet corn, Reinbott has tried out different mixtures among the three genes. Reinbott said sweet corn with the sugary and sugary enhance genes are planted in late April and early May. The super sweet gene corn is planted later, as it needs warmer soils. Reinbott said planting three or four rows of sweet corn generally works a little bit better than planting one or two rows, as pollination occurs and helps with growth. As far as pests go, earworms are one of the biggest threats to sweet corn. Guests of the upcoming South Farm Showcase will have an opportunity to taste a variety of sweet corn at the event. This is the 12th year of the South Farm Showcase, which will run from 10 a.m. to 4 p.m. on Saturday, Sept. 29. South Farm Showcase will also feature a Taste of Mizzou tent for the second straight year. The tent will include maple syrup, honey, ice cream and insects – all which put the work of CAFNR on display. Attendees can taste whatever looks good to them. This year’s event is sponsored by MFA Oil and Lenoir Woods. The South Farm Research Center is located at 3600 East New Haven Road in Columbia, Mo., and is one of the University of Missouri College of Agriculture, Food and Natural Resources’ Agricultural Research Centers. For more information about the Showcase, call 573-882-4450 or email Reinbott at ReinbottT@missouri.edu. For more information about the South Farm Research Center, visit southfarm.missouri.edu.